We recently came from a school event where students along with their guardians and parents co – celebrated the “Linggo ng Wika” to give due recognition to the Filipino language. Thus, the students wore different tribal costumes and had their tribal dances. My own kid from grade school had to perform a manglalatik dance where he and his classmates had to have body coconut shells as part of their costumes. We could be more proud as we saw them on the stage with their awkward moves and fancy costumes. 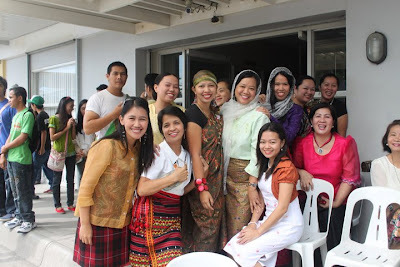 My very own collegiate school had also compelled us to wear our Filipiniana attire in celebration of the month’s national event.